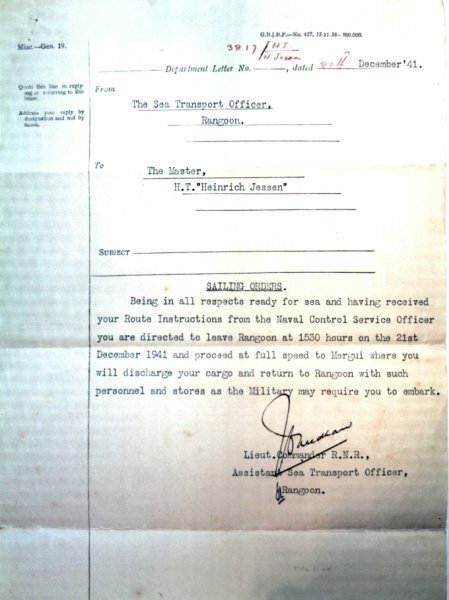 The SS Heinrich Jessen was later requisitioned by the Admiralty for the Royal Indian Navy & re-named HMIS Barracuda for the duration of the war. 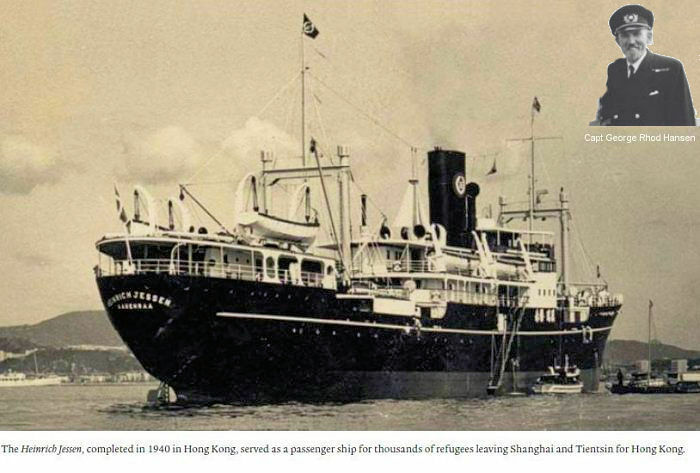 The Heinrich Jessen was built in Japan in 1939 before being towed to Hong Kong where she was fitted out in Kowloon docks with accommodation for four hundred passengers. The SS Heinrich Jessen was launched in February 1940 by Mrs Jessen. 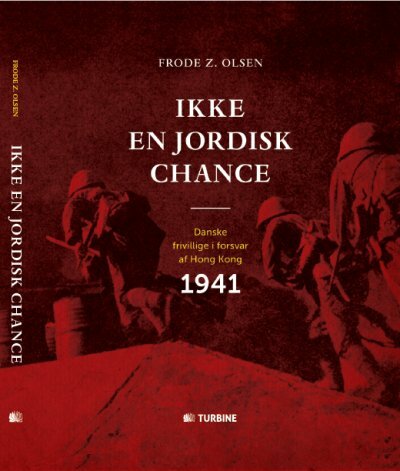 Following the Japanese surrender in 1945 a vast armada of some ninety warships descended on Singapore for the signing of the articles of surrender on 12th September 1945. Among the ships representing the Royal Indian Navy coastal forces were motor launches of the 56th R.I.N. M.L. Flotilla and the ML Depot and Repair Ship, HMIS Barracuda, late SS Heinrich Jessen under the command of Lt-Cdr J H Zappert RINR. 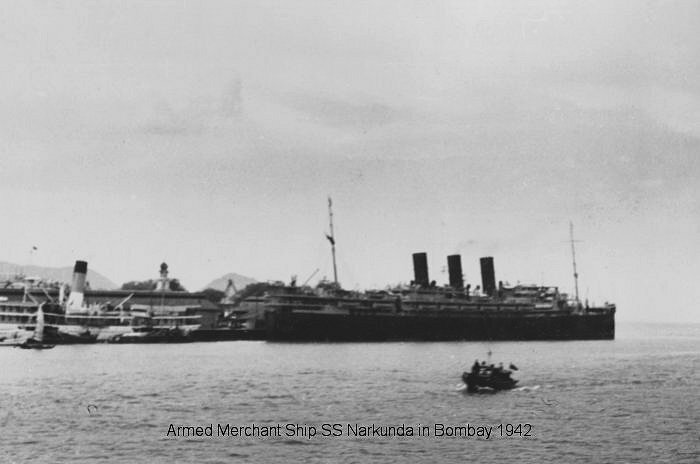 The Armed Merchant Ship SS Narkunda in Bombay, March 1942.